Welcome back Flavia Albia, just when I was really beginning to miss you. Falco’s determined adopted daughter, Flavia Albia is back with her second case in Enemies at Home. Although Falco doesn’t pop up in this novel, his presence is everywhere and we also do get a glimpse of his lovely wife, Helena Justina. 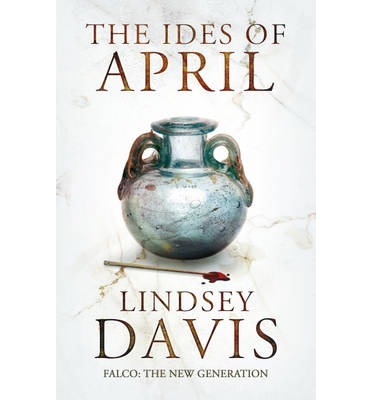 Fans of Lindsey Davis’ 20 Roman mysteries featuring Marcus Didius Falco will miss him, but Albia is quickly beginning to fill his shoes, not only career-wise, but also with her street-smart, wise-cracking ways. But although the same age as Falco when he started his adventures, Albia’s personality is darker, more watchful as she’s experienced life at its worst in her childhood and as a young widow living in a Rome ruled by a paranoid tyrant. After her adventures in The Ides of April, Albia is once again drawn into a seemingly simple dual murder by the Aedile, Manlius Faustus, with whom she has worked before and therefore has a complicated relationship. Newlywed Aviola and his second wife Lucilia are found murdered in their bed and a large cache of valuable silver is missing. What looks like an inside job becomes complicated as the household slaves seek sanctuary in the Temple of Ceres. If they are found guilty, then execution beckons. If not, there is a murderer on the loose and Manilius Faustus is given the task of finding who did it as the Temple lies in his jurisdiction. He commissions Albia for the job of finding clues and she in turn asks her uncles, the Camillus brothers, for legal advice. And so begins a dark and convoluted search for a killer and a horde of silver that seems to have disappeared into thin air. What really went on in the Aviola household? And what about the ex-wife and children hungry for their inheritance? And how complex were the domestic relationships especially when two households merge resulting in possible redundancies, in this case the selling of surplus slaves? As Albia uncovers secret after secret, she soon learns that more than one person is hiding something to safeguard their future. Will she find who murdered the couple before another gets killed? And what exactly does Faustus think of her? Although darker in tone than most of the Falco novels, Enemies at Home is a little lighter than The Ides of April with little pockets of comedy wedged amongst the more hard hitting historical detail which makes Davis’ novels such superb and informative reads. One of things I love about Davis’ writing is that, like a good historian, she doesn’t judge what the Romans get up to. As Albia and Faustus are both Romans, their views, only rightly, will be that of a contemporary Roman. However disturbing and harsh we may view their cultural and social rules today, they accept and work within it. 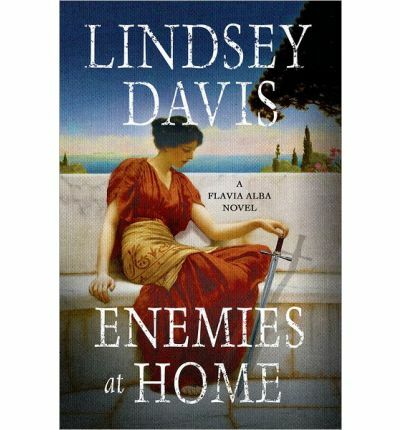 In Enemies at Home, Davis brings home the harsh realities of being a Roman slave. Just as one can strive for and attain manumission, setting themselves and their descendants free, another can lead a life of wretched misery from cradle to grave. Roman laws deem a slave must always protect their master and they can be executed simply for not doing their job. As is the case with Aviola’s slaves, even if they did not do the killings, Albia and Faustus must determine whether the slaves had done enough to protect their master and mistress. And if not, the consequences are dire. Enemies at Home is an enjoyable and interesting novel with a nicely plotted mystery at its heart. I sort of guessed whodunnit but Davis provides the reader with enough suspects to keep you guessing until the end. Can’t wait to see what Rome has in store for Albia next! 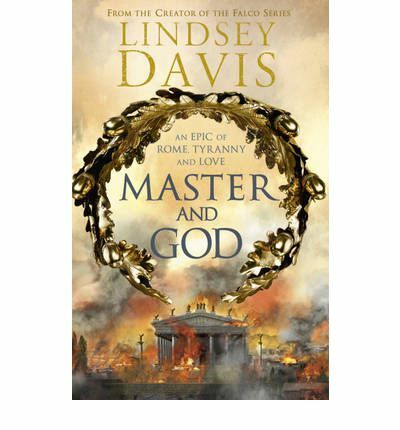 Having finished both Nemesis and The Ides of April, I still wanted to remain immersed in Roman history and turned to Lyndsey Davis’ standalone novel, Master and God, about Vespasian’s youngest son and tyrant, Domitian. Paranoid, despotic and feared, Domitian’s damnatio memoriae remains a warning against ruling Rome through terror. Ultimately murdered by those he once trusted, Domitian is as much a tragic figure as a cruel one and Davis tries to revise history’s judgement of him as much as she can. History is a contentious thing. Davis cites Suetonius‘s biography of the Roman emperors as having a political agenda of its own. In some ways this is inevitable, especially if you are commissioned to write about Domitian by his successor who probably had a hand in his removal. Davis’ use of a fictional narrative to write about Rome under Domitian’s rule prevents it from becoming a dry, historical account. The gradual erosion of trust and freedom that so marked his father Vespasian’s rule after several years of strife in the Year of the Four Emperors, the increasing air of menace and surveillance that is so prevalent in The Ides of April all added to the growing dissatisfaction and fear in his subjects and this is shown through the relationship and romance between a hairdresser to the Imperial family, Flavia Lucilla, and a member of the notorious Praetorian Guard, Gaius Vinius. From their first meeting through their career, marriages and friendship, their one constant is their shared office building which acts as a refuge against life’s dramas. Both are connected to Domitian in some way, Lucilla through her hairdressing talents who sees the domestic side of the Emperor’s family life and Vinius, the political and military. Both characters are the human face of Domitian’s Rome; ordinary folk who rises through the ranks, saving money, building their life, guarding their independence. And yet they are inevitably caught in the political nature of life as a Roman citizen and this is what Davis excels at, showing us Rome through their eyes. And we see Domitian, unable to free himself from the glorious shadow cast by his father and elder brother Titus and who remains a victim of his childhood. Domitian is quieter, a thinker, someone who has never had the chance to go into battle like his brother or a self-made tactician like his father. And yet he somehow manages to shape Rome into a morally upright city, cleaning it up, rebuilding it after a disastrous fire, even if his grip threatens to spiral out of control. Master and God is similar to Davis’ first novel, The Course of Honour about Vespasian’s love for a slave girl, Antonia Caenis. It’s not hard history and easy to read, which isn’t a bad thing. But I did wish for a little more depth, a little more weight as Domitian’s Rome is dark and frightening, something which is better revealed in The Ides of April. I felt as if she couldn’t quite settle on which Domitian she wanted to portray: the scary, paranoid tyrant or the misunderstood, paranoid young man. What is clear is that he was a complex man, one capable of a deep love for his wife, Domitia Longina, whom he wooed and stole away from her husband. And there are also the troubling rumours of an affair with his niece and Titus’ daughter, Julia Flavia, which may or may not have happened but which Davis discounts. I am not entirely convinced that Davis’ portrayal of Domition is successful or complete and many of her other characters can seem like extras from her Falco mysteries. But Davis does excel in plunging her reader into a vibrant, working Rome. You can see it, hear it and smell it. And she does one helluva romance. 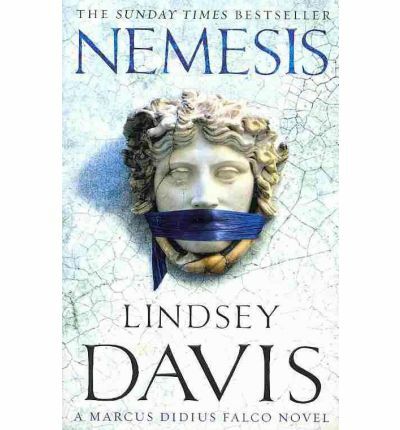 So I was almost crazy with joy when I found out Lindsey Davis had written a new Roman mystery featuring the next generation of Marcus Didius Falco’s family. His P.I. mantle has been taken over by his adopted daughter Flavia Albia, a well-seasoned, spirited 28 year old who is no wide-eyed innocent. I wondered whether it would work. I needn’t have worried for Davis is at the top of her game. I fell in love with Albia, just as quickly as I did with Falco. The Ides of April is a significant day in Flavia Albia’s life. Already a seasoned P.I. after 12 years trudging the streets of Rome uncovering scams and catching adulterers and occasional thiefs, Albia is still required to attend an evening at home to celebrate her birthday. Her raucous and voluminous family usually leave her alone but there is no way she can get out of this. And nor does she want to. But she is busy with a new case; a recent client has been found suddenly dead under suspicious circumstances. When her neighbour also dies suddenly and it looks like there are more recent ‘natural’ deaths across Rome, Albia grows suspicious. Especially when she is officially warned off the case. With the help of Andronicus, the good-looking and charming secretary of the local magistrate, and his surly colleague and the magistrate’s runner, Tiberius, Albia begins to uncover some disturbing facts which throws suspicion upon a lot of important people. Will she find the slippery killer before he strikes again? And should she really be contemplating starting a love affair when she should be concentrating on staying alive? The Ides of April, subtitled Falco: The New Generation is just that. Falco stays in the background only making limited appearances as befitting the father of a very independent, working woman. 12 years have passed since Nemesis. Vespasian is dead and so is his son Titus. And it is the difficult and increasingly paranoid Domition who now sits on Rome’s Imperial throne. In contrast to Vespasian’s era when Falco plied his trade in a Rome that had finally settled into some form of stability, Albia is living in darker, more paranoid times. Domition is obsessed about his image and has tightened morality in his city. The Praetorian Guards control the streets and you don’t want to run into them in the dark when disappearances have become increasingly common. Albia is street-wise, refusing to lose her freedom, but careful nonetheless. Rome is a dangerous place politically and socially and people are careful about what they say. Davis makes sure we realise times have changed. And yet, she somehow still manages to sneak in lots of humour, grumbling about the Romans and their mad ways and the even madder bureaucratic red tape. Albia is just brilliant. Hard-nosed, jaded and with just the right amount of vulnerability to keep her human. More like Helena Justina, her foster mother, than she imagines, she’s also a younger version of Falco. The assortment of people she socialises and works with is interesting as are all her young family who have now grown up. I can’t wait for the next in the series, Enemies at Home which will be out next year. Hurry! In the meantime, I’ll be catching up with Domitian in Davis’ novel, Master and God. Shivers already! Ah, Falco. How I will miss thee. It’s almost 20 years since I first stumbled across The Silver Pigs, Lindsey Davis’ introduction to the historical mystery genre. I was heavily into Ellis Peters’ Cadfael mysteries but Davis’ intriguing mixture of daily Roman life and sweeping political history together with some lovable, witty and questionable characters proved to be a veritable hit as it spawned 20 books charting the slippery career of private investigator Marcus Didius Falco. I have read and re-read them throughout the years, spontaneously bursting into little dances whenever I found out another was being published. Davis manages to infuse her Roman mysteries with charm, wit and gravity all the while slipping us intriguing morsels of daily Roman life during Emperor Vespasian’s rule. Falco is a charming, self-deprecating and honourable private investigator who weaves through the intricate and complex social and hierarchical structures of Roman life, finding clues and capturing criminals and winning the love of his life, Helena Justina. I love their romance which highlighted the strict social and moral codes ingrained in Roman life and the difficulties of transcending class. In Nemesis, his last case, Falco is now 36, a family man who has managed to win a Senator’s daughter and moved up the social ladder without forgetting his roots. He has also acquired some children, held on to his loyal friends and keeps a tight watch on his enemies. Jaded but still with a good heart, Falco is someone you want to be friends with. In fact, I’m rather jealous of Helena Justina, his calm, cool and intelligent wife who had the sense to know she was on to a winner when she first hired his services to bring her back to Rome in one piece from dangerous Britain in The Silver Pigs. As with any series spanning several years, you occasionally falter and get diverted. But I always made sure I did read the books as they were published and with each reading I remind myself why I love Davis’ writing. In Nemesis, Falco and his best friend Lucius Petronius Longus, a senior vigile in the Fourth Cohort who also happens to live with Falco’s favourite sister Maia Favonia, are looking into the disappearance and death of a countryman petitioning against his neighbours from hell, the Claudii. When their investigation takes them to the Pontine Marshes, a festering dead-end outside Rome, they begin to uncover sinister rumours of kidnapping, violence and a suspicious cover-up that goes all the way back to Imperial Rome. When their case is snatched by Anacrites, chief spy and Falco’s wannabe friend/enemy, Falco smells a rat. And so they continue their investigation in secret. But this time they are dealing with an out of control family used to violence and bullying which leads both Falco and Petronius into very dark territory. Will they find the killer without sacrificing their honour and integrity? And can they keep their families safe? And exactly what hold do they have over Anacrites? There has been a recent tragedy in Falco’s family and this case is just what he needs. But he is now a family man so he can’t go it alone. Davis’ portrayal of Falco’s family is sweet, messy and spot on. Her books are always about more than just the mystery and yet with Nemesis, I couldn’t wait to uncover all the secrets which have lain festering over the series. Loose ends are tied and the ending was fitting indeed. Dark and sober and yet Falco remains Falco, although a little rougher around the edges. The tone of the last book in the series is darker than usual, but there has always been a kernel of darkness in Davis’ books. They are about murder and criminals, after all, but balanced beautifully by the sorrows and joys of daily life. I had thought I’d read this book when it was published a few years ago and I read Aarti’s post. But I only realised after reading Davis’ newest book, The Ides of April, that I had actually forgotten to take this out of the library. So yes, it’s good bye to Falco but not completely. Because Falco’s fiery fosterling, Flavia Albia, is taking over her father’s mantle. Exciting times ahead! And if by chance you haven’t had the good fortune to read any of the Falco books, why not do yourselves a favour and get your hands on The Silver Pigs? I promise, you won’t regret it.